The original Castelli Gabba was quickly recognised by cycling professionals and amateurs alike as a revolutionary approach to wet weather protection when it first launched a number of seasons ago. The Gabba 3 is the latest version of this iconic jacket with some small tweaks to the fit and an improved drop tail and pockets. Made from Gore Windstopper X-Lite Plus fabric the Gabba provides warmth and protection from the elements without any of the bulk associated with traditional rain jackets. Great in the dry too, the Gabba feels like a second skin, enclosing you from the colder air temperatures and any potential wind chill. It’s so comfortable that once you own one you’ll find yourself choosing to wear it more and more in mixed conditions too. The Gabba has been proven in every single rainy pro race over the past five years and despite every other company trying to copy it, there’s a reason why the pros are still choosing to wear the Castelli Gabba. Great quality and fit. Used with a set of Nanoflex armwarmers for a snug and warm ride in cooler and wetter conditions. Orange version stands out in full weather! Recommended. I dreamed of this jersey, but it was too expensive. But with 30% off it's in my expectations. I tested the shirt between 8 celcius and 20 celcius and it's perfect. I even used this product in a light shower at 8 celcius and stayed dry and comfortable. Superb product. The fit is as indicated. I will buy another one! Awesome quality, the orange version will be hard to miss on the roads this winter. Thanks Merlin Cycles! I have an earlier version Gabba jersey and was buying another so that I don't have to wash it every day and have a second colour choice. 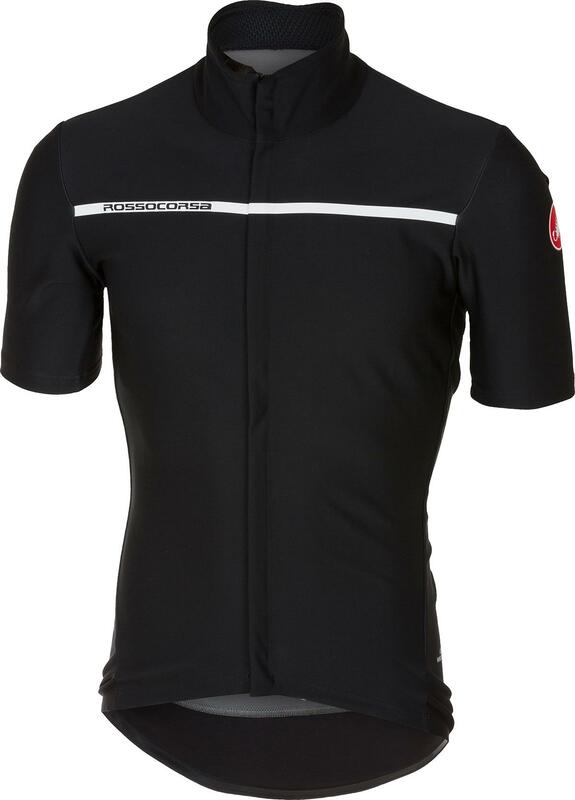 In the spring and fall season this is my go-to jersey for its warmth and excellent slim fit. It's my only cold weather jersey that fits tight and smooth with nothing flapping about while still providing ample length. I absolutely love the Gabba. 6'1, 37" chest, 32" waist, size medium is a great fit with or without a thin base layer.